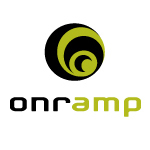 OnRamp Access, a data center operations company headquartered in Austin, Texas, improves the reliability of its colocation customers operations with ReadyServers on-demand solutions that reduce the difficulty of employing replacement infrastructure in an emergency. Bridging the gap between traditional colocation and the cloud, ReadyServers provide OnRamp colocation customers with a pre-provisioned, virtualized environment that can be quickly and directly incorporated into a customer’s infrastructure in the event of a hardware node failure within a customer’s environment or to address an immediate need to scale online operations. For clients colocating their own equipment in OnRamps state-of-the-art data center, the ability to quickly recover from equipment failure or scale operations to meet unexpected needs is crucial to maintaining high levels of availability for their data. OnRamp offers a suite of ReadyServer solutions to ensure colocation customers have on-demand access to OnRamps pre-provisioned pool of hardware that has been pre-loaded with hypervisors and is standing by, ready to incorporate into a colocation customers equipment at a moments notice, stated OnRamps Founder Chad Kissinger. OnRamp’s ReadyServer solutions solve the challenge of needing to quickly obtain and provision a new or spare server on-demand without the time or resources to act in an emergency situation and is one of the many reasons we believe colocation customers are more likely to be successful working with OnRamp. OnRamp colocation customers can take advantage of a full suite of ReadyServer solutions, including: ReadyNodes, ReadyConnect and ReadySAN. ReadyNodes, are a pool of virtualized computer servers that are installed, powered on and standing by to be incorporated into a customers colocation space through the addition of a dedicated connection, or ReadyConnect. ReadyConnect is a pre-provisioned connection between the pool of ReadyNodes and a specific customers colocation space. This enables customers to integrate a new ReadyNode into the infrastructure in very little time, and without having to form a new connection. And, to support a companys business continuity or disaster recovery plan, OnRamps ReadySAN solution provides a timely alternative to the tedious process of restoring from tape by allowing a customer to take a snapshot of their existing servers and store them on OnRamp Managed Storage, making them available to the ReadyServer pool on short notice. Each of the ReadyServer solutions was specifically designed to support OnRamps colocation customers by both limiting downtime in the event of a clients own equipment failure and by removing the barriers to rapid growth. In addition to the capabilities afforded by OnRamps ReadyServer solutions, colocation customers benefit from the data center companys value-added managed hosting, managed services and Full7Layer Support from onsite engineers, which are available 24/7/365.